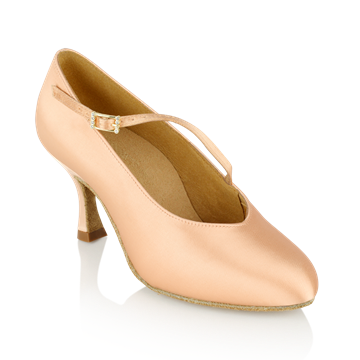 The Hyacinth is a truly elegant “evening” shoe. The delicate silver piping contrasts beautifully against the black Nubuck. There is a wraparound ankle strap which has an adjustable buckle. This is attached using a clip which makes putting on the shoes easier. There is an elongated back for extra support and the forepart of the shoe has a super soft lining.